After decades of laughing, smiling, squinting and furrowing the brow, the face begins to develop wrinkles, lines, and other signs of aging. The skin also begins to lose volume, which can result in hollowed cheeks and sagging skin. One of the most popular and non-invasive skin treatment options on the market, it’s a safe and effective treatment for reducing or eliminating age lines, laugh lines, and wrinkles. More than 11 million people have enjoyed the benefits of BOTOX® Cosmetic, and the product is FDA-approved for cosmetic applications. At Papale Eye Center in Springfield, MA we have experienced staff to treat you aging lines and wrinkles with Botox. If you have age lines or wrinkles that you would like to eliminate or reduce, BOTOX® Cosmetic may be for you. The results of treatment are remarkable; patients enjoy smoother, tauter skin and improved skin complexion. Indeed, according to the Aesthetic Surgery Education and Research Foundation, 97 percent of patients who undergo treatment with BOTOX® Cosmetic are satisfied with their results. If you wish to achieve a younger, more refreshed facial appearance, but have reservations about invasive surgery, BOTOX® Cosmetic is a purified protein injectable that is administered directly into the skin via a fine needle. The product disrupts the production of a chemical known as acetylcholine, which is responsible for muscle contractions beneath the skin. The BOTOX® Cosmetic treatment in effect relaxes the nerves just below the skin responsible for wrinkles and laugh lines, thus reducing muscle contractions. Because the injectable is placed directly underneath the skin, normal muscle movement and control is unaffected. The treatment helps to diminish the appearance of wrinkles and lines associated with negative expressions such as anger or worry. BOTOX Cosmetic ® allows you to chose your own expressions! The results can last up to six months. The question of whether or not BOTOX is right for you is dependent upon where the wrinkles you seek to erase are located. If you want to address crow’s feet, the 11s between your brows, and lines on the forehead, then BOTOX is the answer. If you want to treat wrinkles around your mouth, BOTOX is not effective on those. The FDA approved BOTOX for treatment of wrinkles on the upper third of the face. This is the expressive area of the face, and muscle contractions that form these expressions also create wrinkles over time. BOTOX works on crow’s feet at the outside of the eyes, the 11s between the eyebrows, and on forehead lines. BOTOX has no effect on lines and wrinkles that are due to sun damage, such as smile lines and parentheses lines. How Long Does BOTOX Erase Wrinkles? BOTOX takes about four days to fully take effect. This is because it has to block the nerve messages sent to contract the muscles that are forming the wrinkles on the skin above them. Once it has relaxed the muscle causing the wrinkle, BOTOX erases the wrinkle for up to six months. At that point, the body will begin to absorb the now-inert botulinum toxin and the muscle will begin to contract again and the wrinkle will return. BOTOX has been injected tens of millions of times around the world with very few reactions. The main possible problem comes if BOTOX is injected by an inexperienced injector. If BOTOX is injected into an incorrect muscle, it can cause issues such as a droopy eyelid. 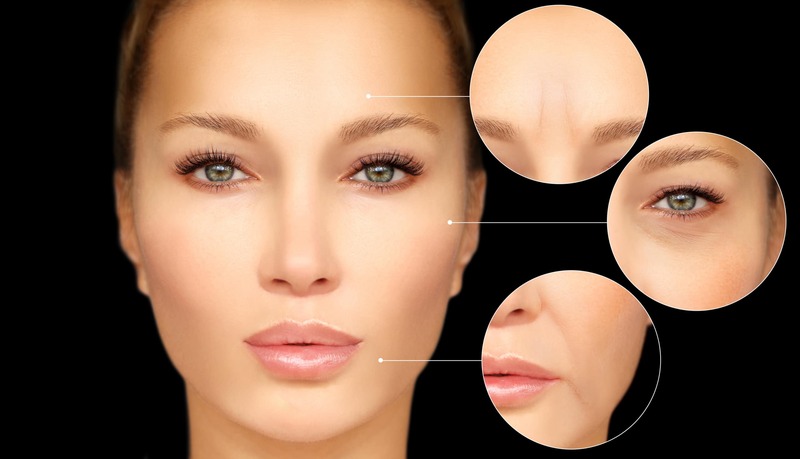 That’s why it’s very important to have BOTOX injected by an expert in facial anatomy who has extensive experience with BOTOX, such as Dr. Papale. Otherwise, the main issues after BOTOX injections are slight swelling and redness at the injection sites. These usually resolve themselves in a day. 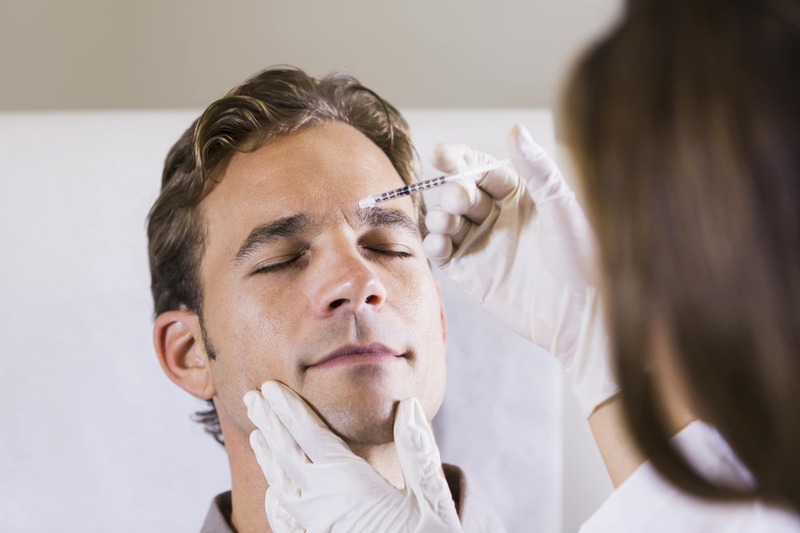 BOTOX was the original “lunchtime procedure.” It takes just 10-15 minutes for a session. Dr. Papale injects BOTOX with a very tiny needle and BOTOX is not injected to great depth. Because of that, most patients equate the injections to the feeling of a pinprick and don’t require any numbing cream. Most people say they feel like a pinprick. If you desire, we can apply numbing cream prior to your injections, but the vast majority of patients don’t feel the need. Patients who undergo BOTOX® Cosmetic treatment at our Springfield office can expect visible results within a few days. It is especially effective in reducing fine wrinkles at the corners of the eyes (crows’ feet), creases in the forehead, and furrowed brows. The effects of BOTOX® Cosmetic can be expected to last from four to six months. At that time, many patients choose to undergo subsequent injections to continue enjoying these rejuvenating effects. BOTOX® Cosmetic is available at our Springfield office, we can help you achieve a younger-looking, more refreshed appearance within a matter of days.